Jaguar has been developing premium cars for almost a century, forging a reputation as one of the most prestigious British manufacturers of all time. With our own thorough understanding of car contract hire and leasing, we are determined to give you a taste of that heritage at a price that is perfect for you, whether you are looking for an executive saloon such as the Jaguar XE or a more powerful Jaguar F-Pace. At AMT Leasing, we can provide your Jaguar lease car at short notice and can deliver right to your door. Look at our extensive range of Jaguar lease deals online today. The luxury British car maker, Jaguar, is known for their style, quality and build. Each car is built with innovative technology, slick designs and comfortable interiors. Jaguar offers a range of cars to suit your needs such as a range of diesel, petrol and electric engines. Whichever you choose, all of Jaguar’s cars are designed to produce low CO2 emissions. Its high performance all-electric powertrains have zero tailpipe emissions, while Jaguar’s new diesel engines produce 20% lower CO2 emissions than petrol engines and they have enhanced fuel efficiency – 20% better than petrol. Alternatively, Jaguar’s petrol cars offer cheaper upfront costs which is a smart choice for smaller, lower mileage journeys. 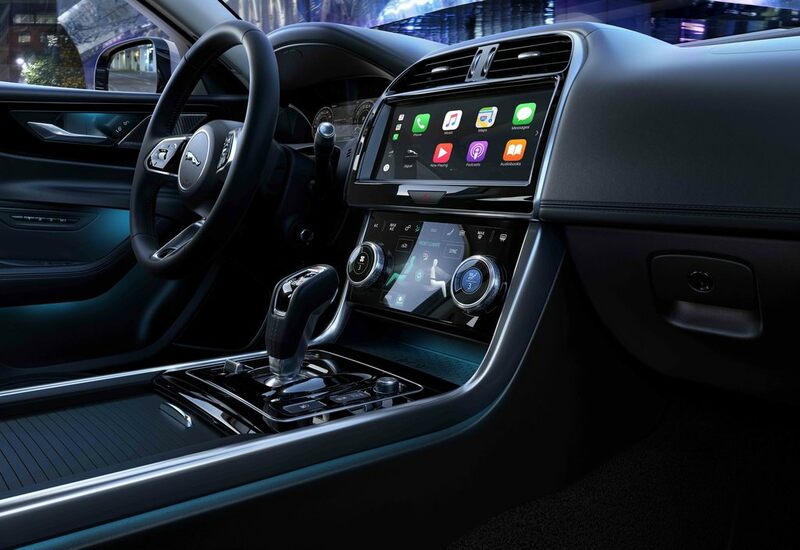 Jaguar wants you to have a truly comfortable and personal experience, which is why it has partnered with Spotify to bring Spotify functionality into all its car’s infotainment. This is available in Jaguars through the InControl Apps, allowing you to optimise the use of your car. Jaguar offer a variety of vehicle styles, from saloons and SUVs to high performance sports cars. The Jaguar E-Pace is the perfect compact SUV for someone looking for a comfortable and smooth drive through the city, while the coupe or convertible Jaguar F-type is the perfect high-performance sports car for those looking to make a statement. And, if you want a car with the latest cutting-edge technology, the Jaguar I-Pace could be the car you’re dreaming of. As Jaguar’s first all-electric SUV, the I-Pace qualifies for the Government plug-in car grant too. Whatever you’re looking for, Jaguar has you covered with its sophisticated designs, state-of-the-art engineering and pioneering technologies. If we can’t tempt you with a Jaguar in our range for you, take a look at what we have to offer from Land Rover, Mercedes and BMW.